What an honour and joy to be one of those featured on Leanne Cole‘s wonderful blog. I have admired her work since I joined Monochrome Madness by Leanne and Laura Macky. These two wordpress bloggers and photographers have been so encouraging to me. Much gratitude to these two friends and all who have included me in their followings!! I’m a bit teary eyed (like my Niamh)- but happily so!! thanks so much Linda, my friend! Niamh’s tears is definitely one of the most beautiful photos I have seen taken by you. Great job! I am grateful to Leanne for the feature about your work and you. thanks so much Sally!!! I like what I have seen of your blog too!!! thank you so much Della!!! I’m humbled! Congratulations, Cybele! Enjoy the read 🙂 Thank you so much for sharing your magnificent photos! Great to learn a little more about you and how you produce your work and some wonderful photos I hadn’t yet seen. thanks so much Andrea. I was a bit overwhelmed by it all -So glad you came by my friend! thanks so much for dropping by and I hope to see you again!! Awww!! I am quite overwhelmed! Love you too and your work my friend!!! Thanks so much Stephen!! Twitter!! I have an account but don’t keep up with it! So glad you enjoy! Coming from you Robert is much appreciated. I’m trying! Thank you my friend!! Thanks so much dear friend!! I certainly enjoy the uniqueness of everyone’s work not the least yours!! You are welcome and thanks for your friendship here too! Thank you Aisha my dear Egyptian friend!! oh we are all so unique here. It’s such a voyage of discovery!! I love visiting your blog! Thanks so much Snow!! thank you so much Rosy!! It’s so lovely to meet you here!! Couldn’t agree more… well deserved and beautiful inspiring stories and pictures as always!! Thanks dear friend!! It’s great to have a follower like you and it’s reciprocal!! 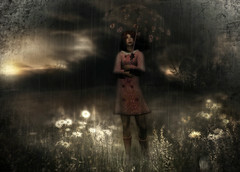 Just found your blog thanks to Leanne Cole…love your wistful, mysterious images. thank you Suej!! I love your comment!! thanks so much Mark. it was quite a thrilling – and humbling experience!! thank you so much!! I’m glad you like them! I cannot like this enough! thank you so much!! Please come by again! !